Mostly clear, with a low around 60. West southwest wind 9 to 14 mph becoming light after midnight. Winds could gust as high as 20 mph. Sunny, with a high near 93. Light and variable wind becoming west 15 to 20 mph in the morning. Winds could gust as high as 28 mph. Mostly clear, with a low around 58. West southwest wind 15 to 20 mph decreasing to 6 to 11 mph after midnight. Winds could gust as high as 28 mph. Sunny, with a high near 91. 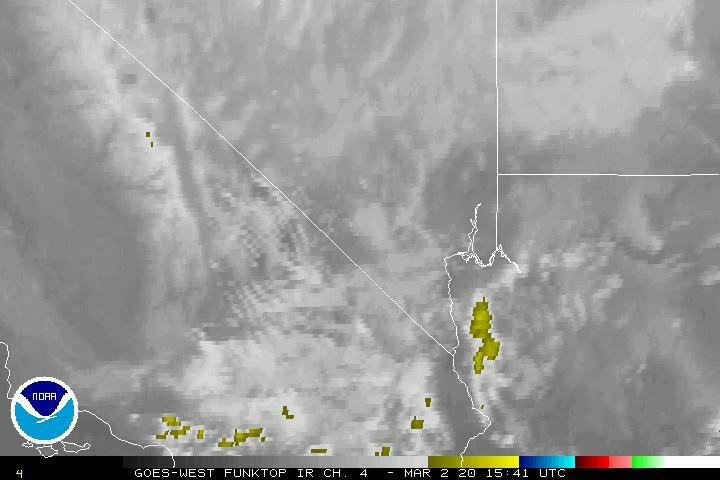 Breezy, with a light west wind becoming west southwest 17 to 22 mph in the morning. Winds could gust as high as 30 mph. Clear, with a low around 56. 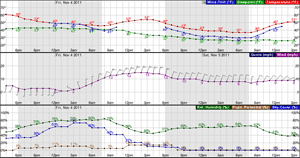 Breezy, with a west southwest wind 14 to 23 mph, with gusts as high as 31 mph. A slight chance of showers after 11am. Partly sunny, with a high near 78. Breezy.